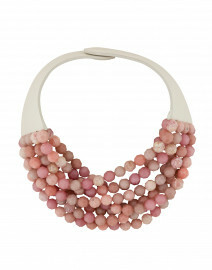 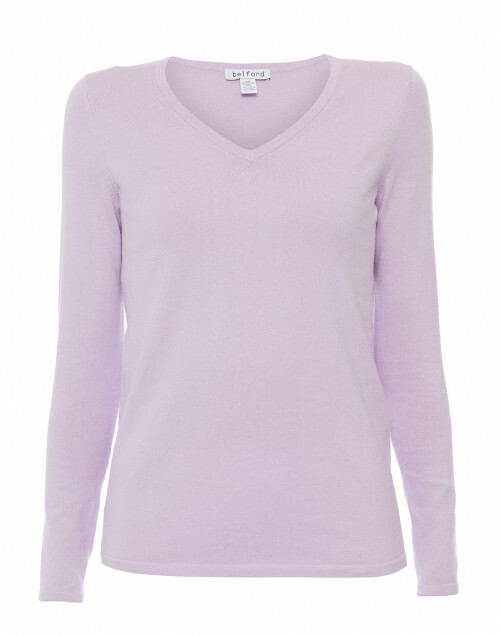 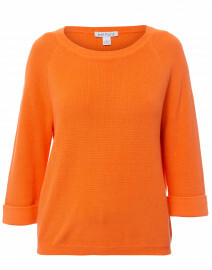 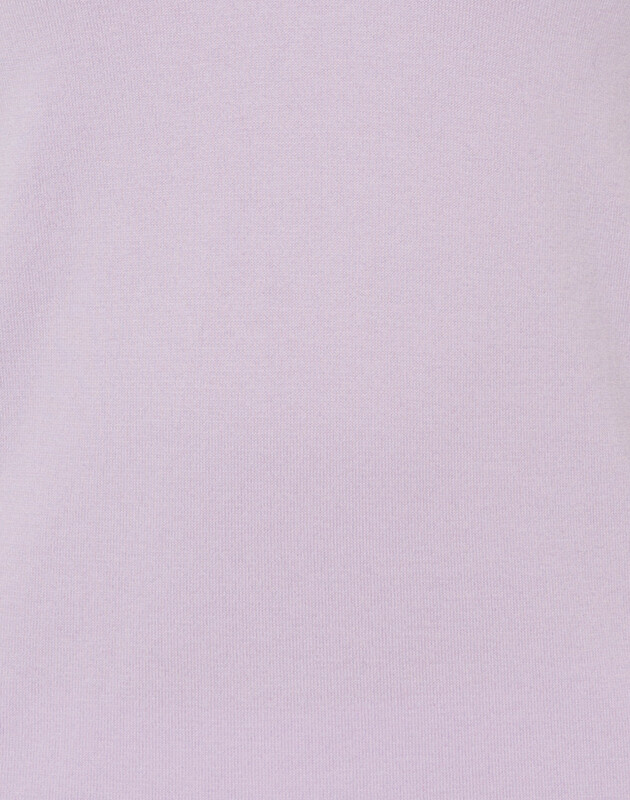 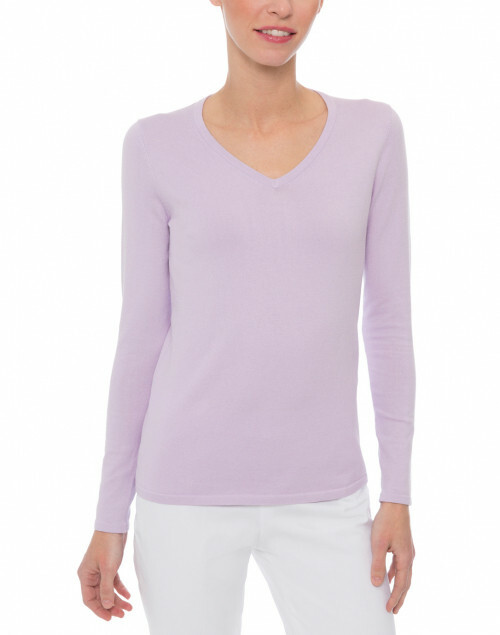 Belford’s lilac sweater will be a bright addition to your warm weather edit. 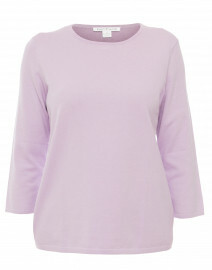 It’s crafted from stretch cotton fabric, and knit to a slim fit with a flattering V-neckline and classic buttoned cuffs. 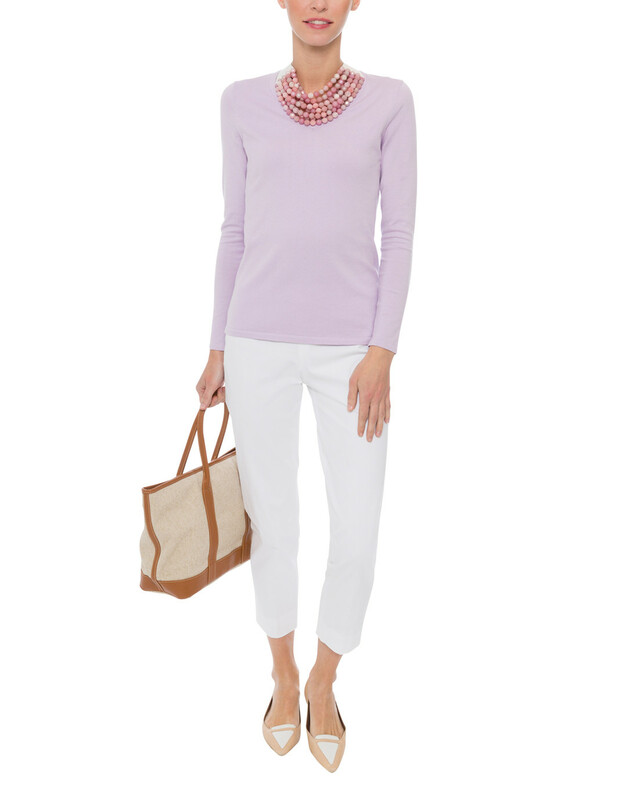 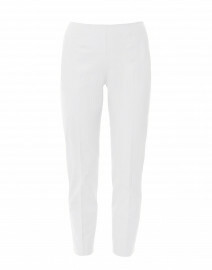 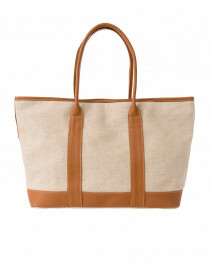 Style it with white trousers and a canvas tote for a polished vacation look.